British business is considered to be going through somewhat of a crisis. Unemployment is rising, the standard of eduction is perceived to be dropping and the pool of highly skilled talent is receding. This paper highlights those general soft skills that often fly under the radar of HR and training managers, but are vitally important for the prosperous, innovative, and efficient business of the 21st Century. 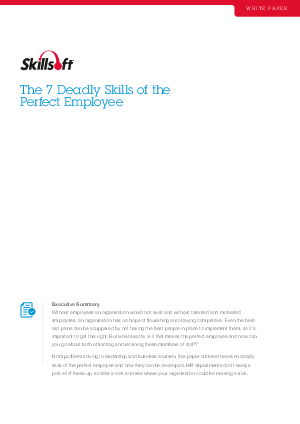 Download this whitepaper now these 7 deadly skills.